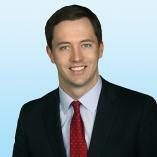 Matt is a graduate of Marquette University with a degree in real estate and finance. As an Associate Broker, Matt’s core business is slated towards sale and lease transactions of office buildings throughout Wisconsin. Matt has built many valuable relationships and is continuously expanding his knowledge base and business networks in order to better serve his clients. Matt’s areas of expertise include; leasing and sales of commercial office investments, corporate, landlord representation and research analysis.